Children up to 13 years. 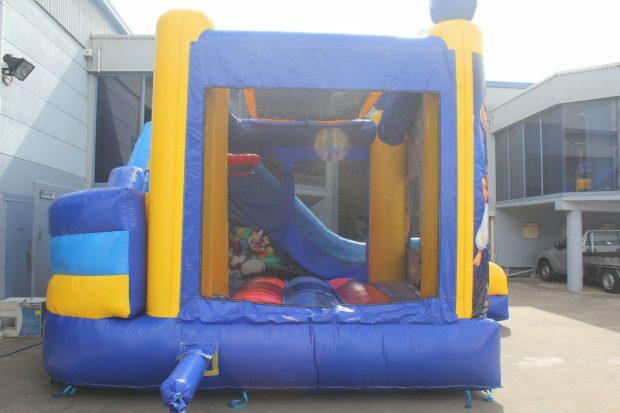 Designed and made in the USA and one of our most popular jumping castles for hire. 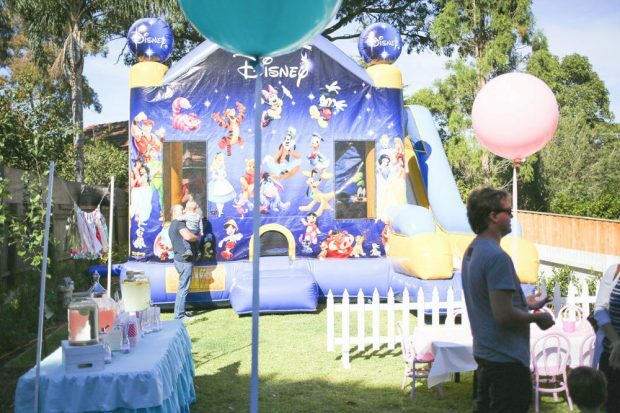 Bring the classic World Of Disney theme to your next backyard party or event. It is sure to be popular with all boys and girls. 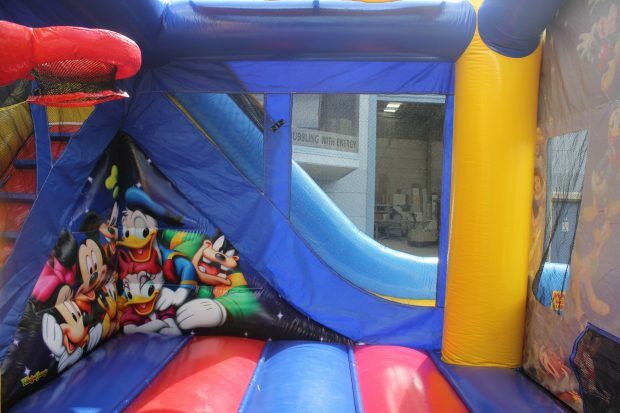 This jumping castle slide combo features the likes of Hercules, Aladdin and Jasmine, Dumbo and Tigger, Pinocchio, Simba, Pumbaa and Timon from The Lion King, Donald Duck, Daffy Duck, Pluto, Winnie The Pooh, Alice In Wonderland and the Cheshire Cat, Peter Pan, Lady and the Tramp, Mickey and Minnie Mouse, Lilo & Stitch. 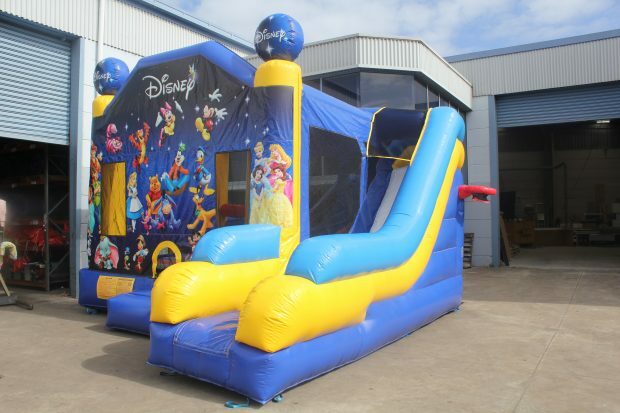 The World of Disney jumping castle slide combo also has Disney’s favourite princesses. Featured on the inflatable are Aurora (Sleeping Beauty), Belle (Beauty and the Beast), Snow White and Cinderella. 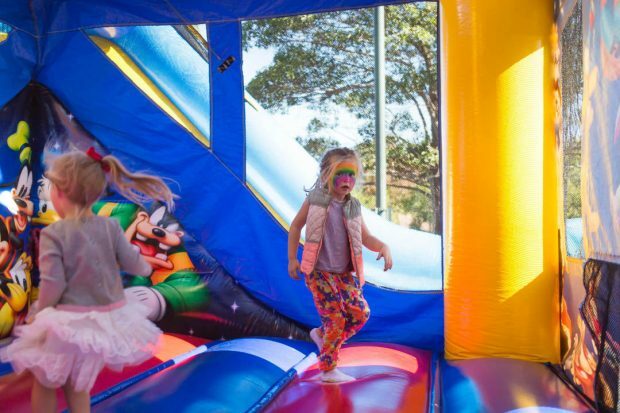 This jumping castle has a character for everyone. 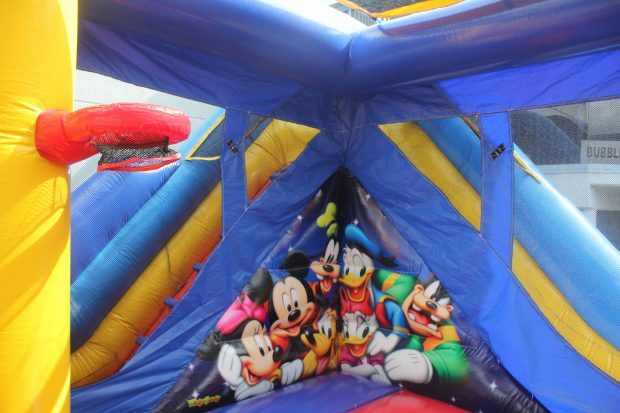 Kids get plenty of jumping fun under the twinkling Disney stars with their favourite member of the World of Disney. 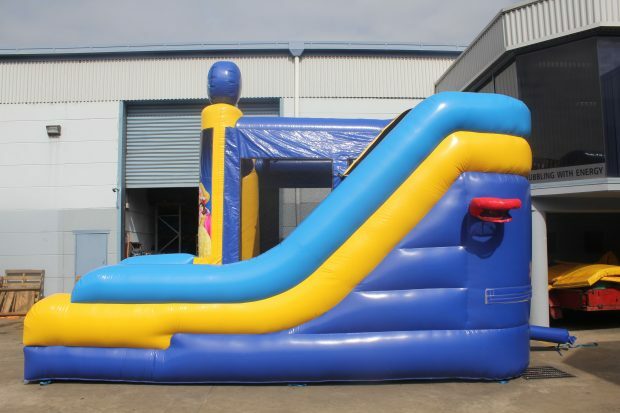 This inflatable requires an area of 7m Length x 6.5m Width and 5m Height. 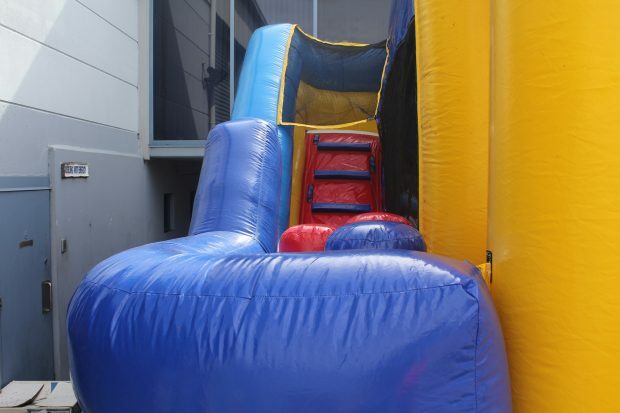 Also, we have free delivery to Sydney, Campbelltown Macarthur, Penrith and Wollongong areas. Book online or call us on 98298929. 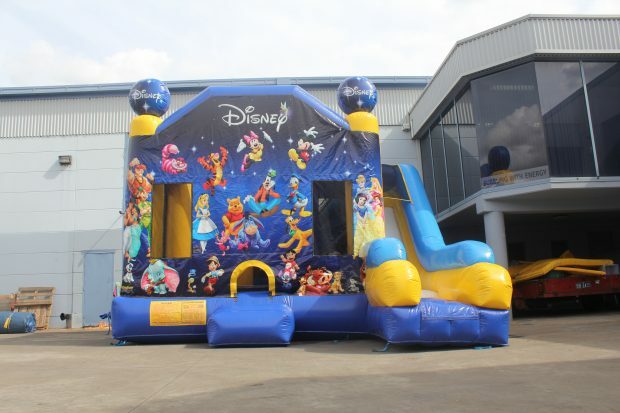 Customers who viewed our World Of Disney also liked our Wizard Large Jumping Castle Slide Combo and Disney Princess 3D 5in1 Jumping Castle Combo. 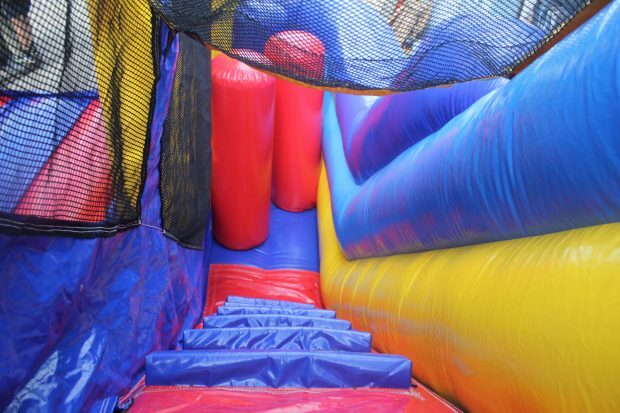 Or, why not try the Monster University 5in1 Jumping Castle Combo, Dora the Explorer 5in1 Jumping Castle Combo and our Sesame Street 5in1 Jumping Castle Combo.